For a completely exclusive look and feel for your new website we provide a complete custom web design service. Your new website will work perfectly on all mobile and tablet devices. Our web developments are built to be easily accessible and readable for search engines. We work hard to get a very strong understanding of our clients and what they need and how they wish to be represented online. Together we explore what they can offer their online audiences and customers to develop and maintain, stronger, long lasting relationships with them. 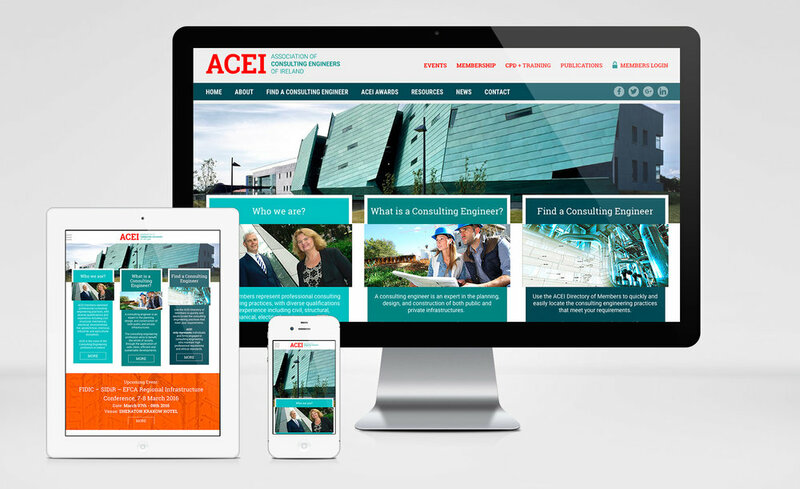 Each of the designs below show how we created bespoke websites to really reflect on the organisations we work with. These designs are all very unique to each of our clients and what they wanted to achieve in their online presence and business strategies. Each website that NiceOne Web Design develops comes with a fully bespoke content management system that ensures easy content management. Ready to talk about your website design needs? Then we would love to discuss it with you. Get in touch by calling us on (01) 525 7300 or fill in your details below and we’ll get back to you as soon as we can. Web Templates or Custom Designs? What to choose? First and foremost, a template design is characterised by a certain uniformity or sameness if you will. No matter how much you customise a web template, it will end up resembling so many other websites. User Experience is all about the human – product interaction, and it basically is all about designing end-to-end experience for certain products. real-time marketing means seizing an unique opportunity and turning it to your advantage by marketing on the spot..
Maybe a squeeze page is what your business is lacking? a squeeze page is similar to a dedicated website landing page, where its sole purpose is to capture email addresses from potential clients. We can provide an independent and holistic review of your website's design, usaibility, functionality, coding, search engine optimisation efforts and overall strategic approach. We focus on creating eye-catching designs & innovative functionality to meet the needs of your clients and customers.